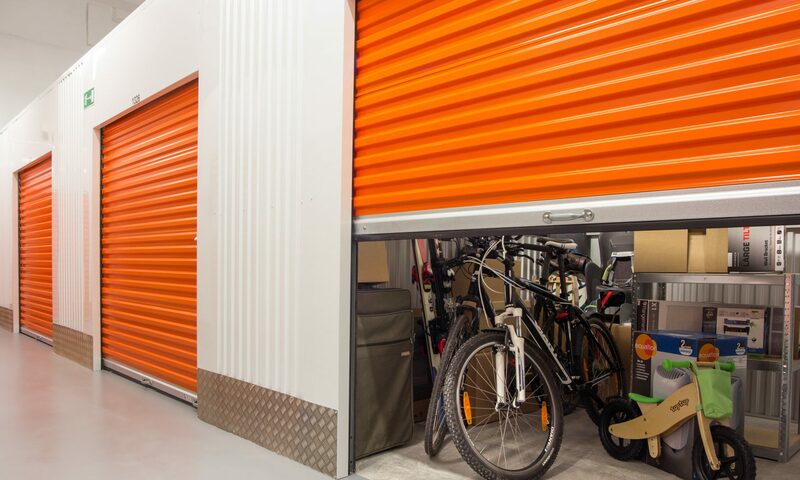 The Self Storage Industry has been a growth industry recently in the United Kingdom, with more and more operators opening facilities over the last couple of years. One such new operator on the scene in the UK is the Self Storage Southampton Company. We spent a couple of minutes interviewing their general manager John Gerrard to find out a little more about them, and how they are using the Internet to promote their business online. Hi John, how long have you been in the self storage industry and how did you get into the business? My background is actually in Internet marketing believe it or not. It’s something I studied at University on the south coast of England and to be honest, it’s what I thought I would be doing until the end of time. However, a couple of years ago a friend of mine invited me to invest in his self storage operation and get more involved with the business. From that point on I kind of got hooked and then then about 12 months ago decided to go it alone – which is when I decided to plan and launch the Self Storage Southampton Company. How has your background in Internet Marketing helped you in the self storage industry? Interesting question! Well, I believe it’s given me a great head-start because ultimately I believe that most customers looking for a storage solution will now look online first. Due to my knowledge of search engine optimisation (SEO) and social media I’ve been able to give the company a really good and solid online footprint in advance of our physical launch in a couple of months’ time. I’ve spent hours creating videos for our YouTube channel which are now ranking very well in Google, as well as reaching out to some selected partners globally in the storage industry to look for linking opportunities. Evidently, the more relevant a website’s back-link profile the better for your Google rankings so that’s a real focus of mine at the moment. What are the unique selling points of Self Storage Southampton and how do you differ from the competition? It’s hard to differentiate yourself sometimes in such a competitive business, so what we are going to try to focus on is customer service. I am telling all of the staff joining us that a friendly service is what we want to become most reputable for. From my experience, the first impression is always key with any business that you deal with. If we can make a great impression with our customers, whether face to face, on social media, email, or over the telephone, then we’ve already won half the battle to get their custom. Do you have any tips for readers of the Storage Auction Kings website who want to find some hidden gems or make some money with storage auctions? Build relationships: If you are new to the game then arrive early and try to engage the other auction hunters in conversation. Some might not be that friendly, but most will and you should be able to pick up some good hints and tips from them in order to learn for the next time. Bring a torch / flashlight: Some storage operators will only have one bulb illuminating their storage units (and some might not even be working) so have a torch with you could mean you get a bit of a head-start on the competition. Bring a good padlock: If you win a storage auction, that unit will immediately be yours. The old user’s padlock will have already been removed by the storage company so make sure you lock it up. If anything gets stolen then it is not the responsibility of the facility. There’s just a few tips. I am sure there is loads more relevant information on this website so I don’t want to bore your readers too much! Finally John, what do you have planned for the Self Storage Southampton Company over the next 12 months? Well, we are close to launching our actual facility so are going to be very busy this year and in 2014 making sure that everything is running smoothly. Obviously with the increasing popularity of storage auctions we are going to look at taking advantage of that with listings on our website. The listings will appear on our storage units page so if you are based in the UK and Southampton make sure you bookmark it and keep checking back for any forthcoming auctions! Thanks to John Gerrard for this interview. The Self Storage Southampton facility will be based in the Docklands area of the city and is due to launch in mid December of 2013.